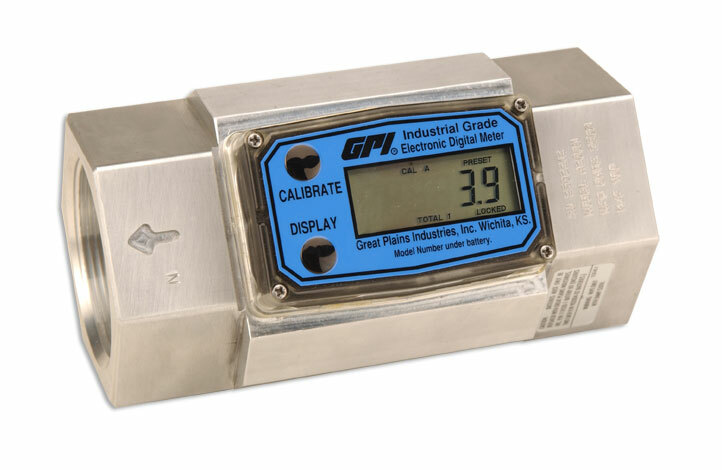 The GPI 2″ G2 Industrial Aluminum Digital Flow Meter features the factory-calibrated LCD 09 Computer that precisely reads both gallons and liters. The Turbine design and high-quality components allows for inline flow rates to be accurately measured. This flow meter is perfectly suited to measure Type 1/2/4 aircraft deicing fluids with propylene glycol. *Computer electronics add 0.7" (1.8 cm) to height and 0.2 lbs (0.1 kg) to weight. GPI Flow Meter Remote Cable, 100 ft.